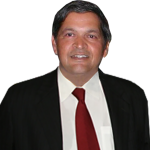 Ambassador Alok Prasad leads the company’s business in India. Alok is one of India’s most respected foreign policy, national security and international relations experts. Based in New Delhi, Alok maintains unparalleled networks in India’s government and civil service, business, civil society and diplomatic circles. Working with the BGA India team, he guides the development of client strategies and directs their implementation. Alok retired from government service in 2012 as India’s ambassador to Japan, where he led the mission during the negotiation and signing of the India–Japan Comprehensive Economic Partnership Agreement. He lived in Japan through the tsunami and the Fukushima nuclear disaster. Prior to that he served as deputy national security adviser in Delhi, dealing with all security-related issues and coordinating intelligence inputs. In this capacity, he laid the groundwork for a cyber security policy for the government of India. He was India’s high commissioner to Sri Lanka at the final phase of the civil war in that country. He was extensively involved in providing relief and resettlement assistance to the Tamil internally displaced persons during and at the conclusion of the war. From 2003 to 2006, he was the high commissioner of India to Singapore, during the period of India’s active outreach for institutional linkages with ASEAN and the East Asia Summit. Alok knows the United States very well. From 2000 to 2003, he was the deputy chief of mission in Washington, where he played a key role in evolving the Next Steps to the Strategic Partnership, which eventually led to the India–U.S. Civil Nuclear Agreement. Before that, he was joint secretary in-charge of the Americas Division at the Ministry of External Affairs for five years.